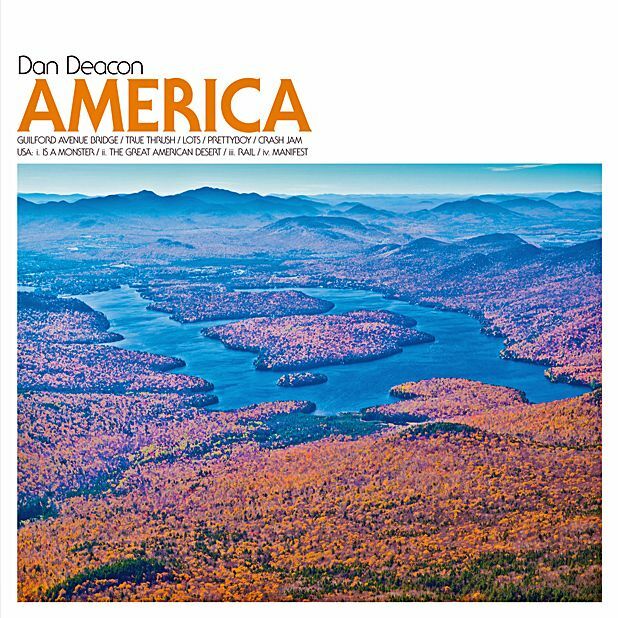 Dan Deacon’s America is a scuzzy but inspired sonic postcard, every bit as warped and comfortable as the accompanying artwork. Opener ‘Guildford Avenue Bridge’ is a punishing barrage of loops and crunching percussion that eventually melts into a pulsating melodic soundscape while ‘Prettyboy’ is a lush, ambient trek through the clouds; the stuff of indie movie dream sequences, exploding into 80s electro ballad territory with its bitcrushed drums and glassy synths. The rough and the smooth regularly lock horns on Deacon’s latest, resulting in an entrancing collection of music with plenty of clout to keep you interested. A weird and wonderful record that could just as easily soundtrack a highway drive in blistering heat as send you to sleep.